Vancouver NPA park commissioners John Coupar and Sarah Kirby-Yung say they were elected Saturday in part on their party&apos;s promise to reverse the aquarium breeding ban imposed by the Vision Vancouver dominated park board. With the NPA now holding a four-to-three majority, Coupar says the party intends to fulfill that commitment. "We said we would and that’s our plan," he told CBC News in an interview, "but we’re gong to have to think through this carefully especially with this new lawsuit that’s there." 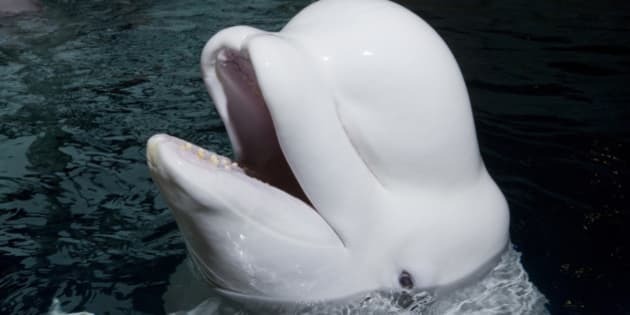 The Vancouver Aquarium has filed a petition in BC Supreme Court challenging the park board&apos;s jurisdiction to impose such a ban saying it interferes with the day-to-day operation of its business. Kirby-Yung says NPA commissioners won&apos;t be sending the issue to referendum either. "We were clear that as an NPA team that was part of our platform and we’re committed to that," she said. "We want to fulfill on the voters&apos; expectations and they voted for us on that platform." No one was available for comment at the Vancouver Aquarium, but the organization did release a statement. "The Vancouver Aquarium Marine Science Centre has worked with the City of Vancouver and the Vancouver Park Board for over 50 years," it said. "The aquarium looks forward to welcoming and briefing the city&apos;s newly elected representatives on all our conservation, research and education efforts as soon as their schedule permits. In July, the Vancouver Park Board voted to prohibit the breeding of cetaceans in captivity and directed the establishment of an oversight committee to ensure the well-being and safety of captive whales. It also directed the aquarium to find alternatives to the exhibition of cetaceans. Yung says the aquarium is only one issue and there&apos;s lots of other work to be done. "I&apos;m excited to get to work on the priorities the community spoke to us about," she said, "which is restoring the relationship with our community centre associations and moving forward with building a seniors&apos; centre in the Killarney neighbourhood." "That South Vancouver neighbourhood has been vastly underserved. They have been waiting for it for 15 years. We have support now from three levels of government and I just want to expedite moving that forward." In an emailed statement NPA mayoral candidate Kirk LaPointe said he was "extremely encouraged" by the NPA’s gains on council and school board. Vision Vancouver also lost its majority on the Vancouver School Board, splitting seats there evenly with the NPA, leaving the Green party holding the balance of power.